With all the hoopla over the popular iPad, don’t count out the Kindle. Amazon started by selling us a dedicated reader and the eBooks at a lower price than their physical version. Then they introduced an application for the iPhone where you did not have to buy the dedicated reader, increasing the availability of their platform. (And protecting their core asset, book sales.) Then came a PC Version and this week (finally!) an Android version. Of course there has been pushback from the publishers over price. Publishers don’t like that new releases they charge in physical form for $30 sell for $9.99 in electronic format. Some publishers have fought back by delaying their release dates in Kindle format. Amazon has come up with something that will potentially change the publishing industry forever. Effective today there is a new program where you can get 70% of the revenues, less delivery costs (which are $0.15 per MB.) In order to qualify, you have to list your book under $10 and it has to be 20% less than the physical price. By sharing more of the profits, Amazon, will win over more and more publishers and thus have even more titles in Kindle format. What people may not realize is that in a few years, after iPads and Google Pads take over the world and at the same time the Kindle format has critical mass, many authors will skip publishing altogether and publish only eBooks with the Kindle format the preferred format. Just like some rock bands today skip the record labels and go straight to iTunes. The publishing industry will be changed forever, starting today. I am proud to report that Telerik won the Microsoft Partner of the Year award for Central and Eastern Europe in the ISV/Solutions Partner category. It is a great honor to win this award; it reflects everyone at the company’s hard work and dedication to the customer. Thanks to our customers, this is really their award. The battle for mobile supremacy has really heated up. Apple and Goolge had round 1 back in January with the release of the Google Nexus One. With the release of the iPhone 4 and the Droid X we are well into round 2. I am not going to debate which device is better or worse, that is for the market to shake out. Rather I want to comment on how the popularity of each device is strengthening its underlying platform. The iPhone 4.0 and iPad 1.0 run on iOS 4. Google’s mainline devices run Android 2.1 or will be upgraded to Android 2.2. “Froyo'”. It has been reported that Google will release an iPad style “Google Pad” based on Android 2.x as well. Developers are lining up to write applications for these two platforms, each expanding from the phone to a slate/tablet device. It is possible you may see netbook style devices running iOS and Android soon. That said, looking ahead 5 years from now, which one will “win” the most mindshare? In the long term my money is behind Google for two reasons: it is easier to code for and it more open. Eventually what you will see is applications appearing first on the Android then on the iPhone, with some never making it over for AppStore reasons or for Objective-C reasons. (This already happened with several World Cup focused applications.) Applications are what make a platform, you can have a more “cool” platform with less apps and the less “cool” platform with more apps will still win. Think Mac v PC 15+ years ago. Speaking of PCs, where is Microsoft in all of this? The Zune based Windows Phone 7 is not slated to come out any time soon. By the time WP7 ships we will be talking about iPhone 5.0 rumors, Android 3.0 rumors, and the next generation iPad. Microsoft has a lot of catching up to do. In the previous blog posts listed above, I showed how Telerik’s new LINQ implementation works with WCF RIA Services. I showed how to build your own Domain Service, build custom query methods, and make a metadata class. In this post I will show how to expose your Domain Service as an OData feed. The Open Data Protocol (OData) is a Web protocol for querying and updating data in a RESTful fashion. You create OData feeds when you want to set up feeds for 3rd parties to consume, typically without your knowledge. For example Twitter has a RESTful feed of all its public tweets and many applications will consume that feed. You may use WCF RIA Services to create your application, however, you may want to expose parts of your application as a feed for others to consume. This is real easy to do. Let’s see how. 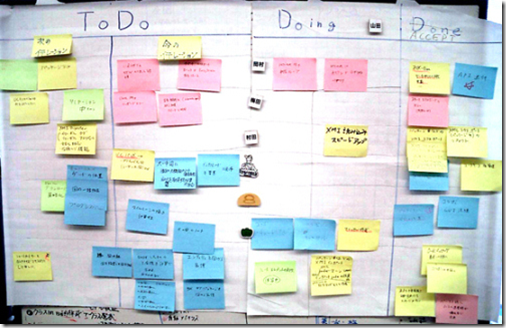 I will continue using the same project from the first three parts of this blog series. In the server (ASP.net) project you have to do three things. First set a reference to System.ServiceModel.DomainServices.Hosting.OData. You must register athttp://parallelcomputingtalk.eventbrite.com/ in order to be admitted to the building and attend. In the past, introducing concurrency and parallelism into libraries and applications was difficult, time consuming, and error-prone. However, as the hardware industry shifts towards multi-core and manycore processors, the key to high-performance applications is parallelism. The .NET Framework 4 and Visual Studio 2010 offer solutions to help make coding, debugging, and profiling concurrent applications significantly easier. In this interactive deep-dive, we’ll examine Parallel LINQ-to-Objects (PLINQ), the Task Parallel Library (TPL), new coordination and synchronization types, and Visual Studio tooling support in order to provide a look at the next generation of parallel programming with .NET. Stephen Toub is a Principal Program Manager on the Parallel Computing Platform team at Microsoft. He’s excited to be back in Manhattan, where he lived and worked for several years. The WCF RIA Services metadata class is a separate class from the DomainService that contains information about the entities. In this class you can write custom validation logic, set attributes of the properties of the entities or indicate whether the property is to be generated on the client or not. 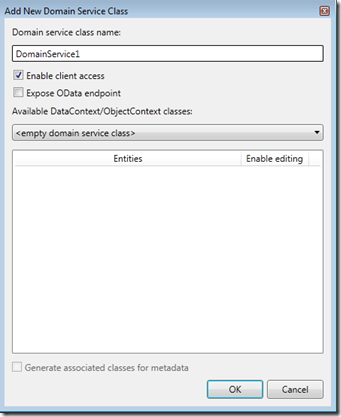 To create this class, create a new class in Visual Studio and name it: YourDomainSeriveClassName.metadata.cs. For example, our DomainService is DomainService1, so the metadata class is: DomainService1.metadata.cs. 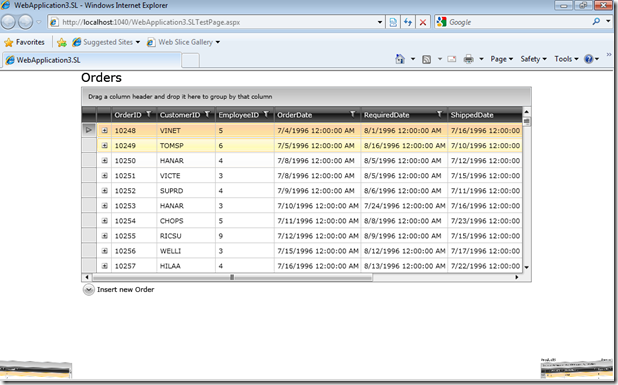 6:      // that carries additional metadata for the Customers class. 12:              // Metadata classes are not meant to be instantiated. As you can see this class has each of the properties of your entity (lines 16-26), now you can set them as required, specify a length, or validate with a RegEx pattern. You can also specify that a property should not be sent down to the client. Of course you can specify much more sophisticated rules, you can even write your own methods. 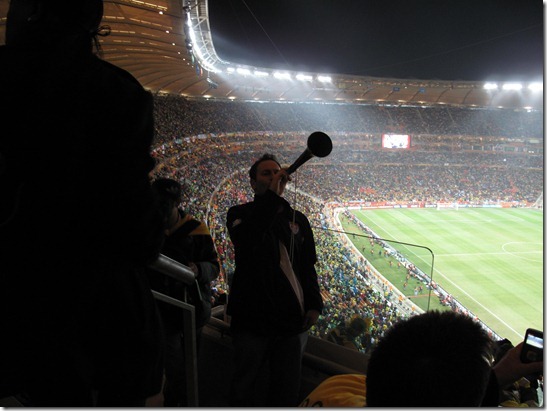 In my last blog post, I showed how Telerik’s new LINQ implementation works with WCF RIA Services. In that post I built a Domain Model from the Northwind database as well as a RIA Services Domain Service. 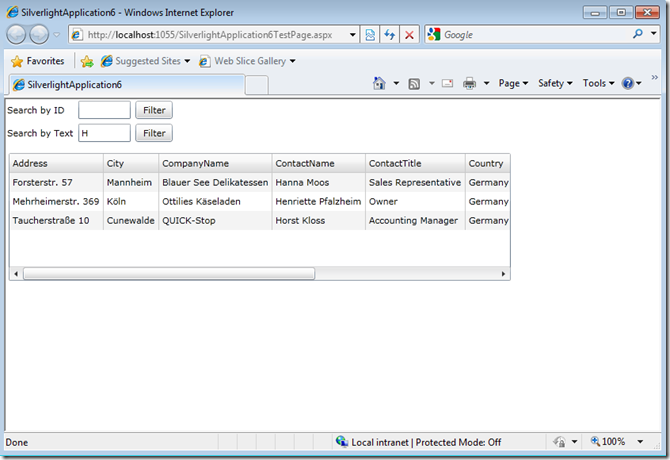 I then showed the drag and drop features of RIA Services and created a simple Silverlight application with no code. Today we are going to take that example one step further by creating some custom server side Query Methods. A query method is just a facility to query a data source. In RIA Services, you define a query method explicitly so it can be used on the client. This is pretty straight forward with RIA Services. Let’s create a query method to query the Customer table by its primary key (CustomerID) in the database. To do this, open the project we used in the previous blog post and add this code to the DomainService class in the server project. Let’s create a second query method, one that will filter the Customer data source by the ContactName field and return a collection, not a single item. We define an IQueryable collection of Customer as the return value in the method signature (Line 3) and accept a parameter. This parameter is used in our LINQ statement to filter the data source (Lines 9-10). In addition, just like the previous example, we must also filter by the country Germany; also replicate the OrderBy of our GetCustomers() method (Line 11). Now that we have defined two query methods, let’s wire them up to our XAML form in the Silverlight application. Now we have to write some code. Next we need to create a global variable for the RIA Services DomainService’s context. Next we will load the grid with all of the data the first time the XAML form loads. We load the data by calling the GetCustomers() method we created in the previous blog post (we use the domainContext global variable in line 6.). Now let’s wire up the buttons so we can perform the filters. First we will wire up the button that will search by CustomerID. That button click event will call the GetCustomerByID query method (lines 11-13) and bind the results (line 15.) We have to pass in the data the user entered in the text box, make sure in production to validate this data! 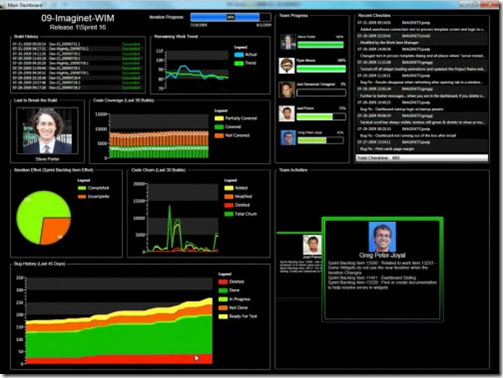 Hopefully with these two examples you can see the power of using Telerik’s new LINQ implementation and WCF RIA Services. With the Q1 release of Telerik OpenAccess ORM, Telerik released a brand new LINQ Implementation and supporting Visual Entity Designer. With the upcoming Q2 release next month, we will introduce full WCF RIA Services support. If you want to get started now you can wire up the services yourself pretty easily. Let’s take a look at how to get your feet wet with RIA Services and Telerik’s LINQ implementation. Let’s create a new Silverlight application first. 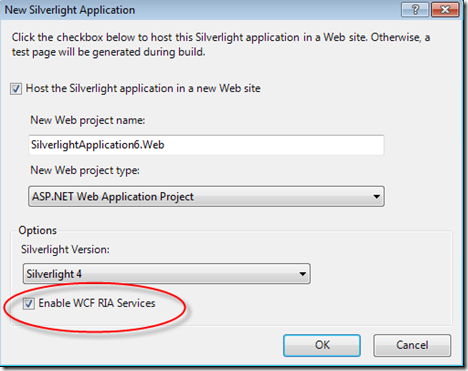 In the New Silverlight Application dialog, check the “Enable WCF RIA Services” checkbox. This will enable RIA Services. 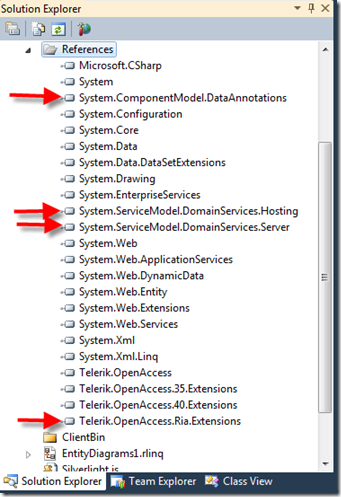 The next step is to create a new Telerik Domain Model in the server (ASP.NET) project. I have a detailed walk through here on how to do that. We’ll create a new Domain Model by right clicking on the server project and selecting “Add” and choosing the Telerik Domain Model from the menu. Then we will map all of the tables from Northwind using the wizard. We’ll also keep the default model name of NorthwindEntityDiagrams. We’re in good shape. So far if you have used the new LINQ Implementation nothing is new (or LINQ to SQL/EF for that matter.) Now let’s add the RIA Services stuff. Now we are ready to create the domain class. 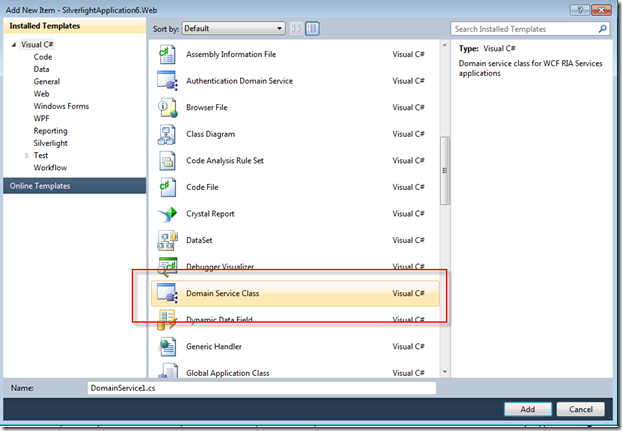 Add a new Domain Service Class by right clicking and selecting Add|New Item and choose Domain Service Class. Once you accept this dialog, a new empty class is generated. Now you are done. Compile and let’s get cracking on a Silverlight client. Once you drag and drop the entity to the form, a grid will automatically show up. Now press F5 and see the application running. That's it! We just created an OpenAccess based RIA Services application! Of course there is a lot more to RIA Services than just binding a grid, however, this demonstration should show you that once you create your DomainService class, all of the RIA Services “stuff” just works for you. In future posts we will look at more RIA Services features as well as creating a query method. This is the beauty of OData, we don’t know how it was created, we also don’t care. All we care is if we can consume it easily. 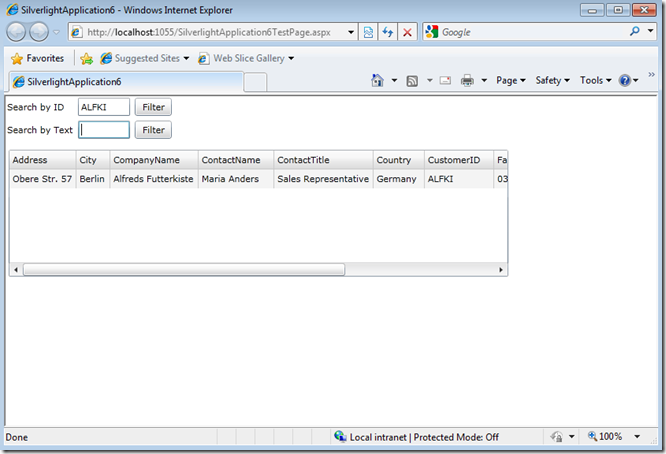 Let’s do so with an ASP.net application and the OData client for ASP.NET. To get started, create a new ASP.NET application. In the application, right click on the References folder of the project in the Solution Explorer and select “Add Service Reference”. 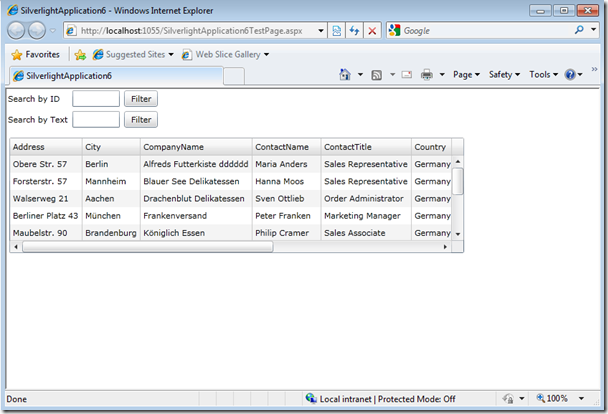 Put in the public URL of the TechED 2010 OData Service. This creates a proxy so you can code against the service locally and not know the difference. Next set a reference to System.Data.Services.Client. 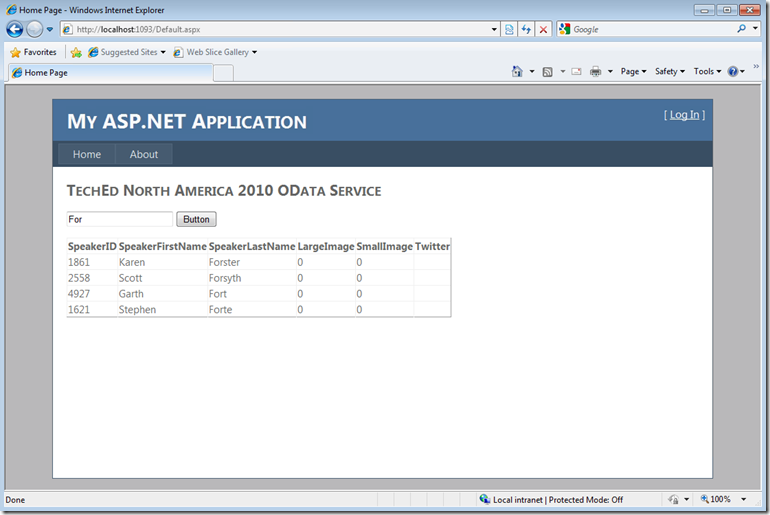 This will enable us to use the OData client library and LINQ on the ASP.net client. 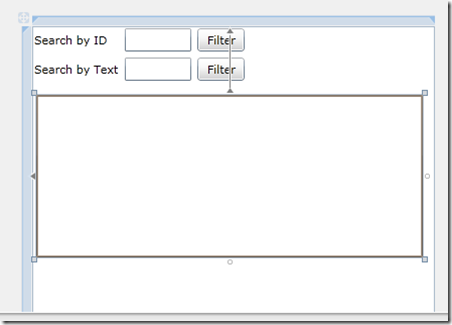 Then drag a textbox, button, and a gridview to the ASP page. We’ll fill the gridView with the Speaker data filtered on the last name field based on what was typed in to the textbox. We accomplish this with the following code on the button click. Line 2 and 3 sets the data context and the LINQ statement is on lines 6-9. Line 7 is where we do the filtering based on the textbox. Pretty easy stuff. Last month I participated in a World Cup themed skit about information worker productivity at the launch of Office 2010 and SharePoint 2010 in Hong Kong. You can watch the skits here. It was a lot of fun and shows off a ton of new features in Office and Sharepoint, including PowerPivot. You can download the slides and code here. 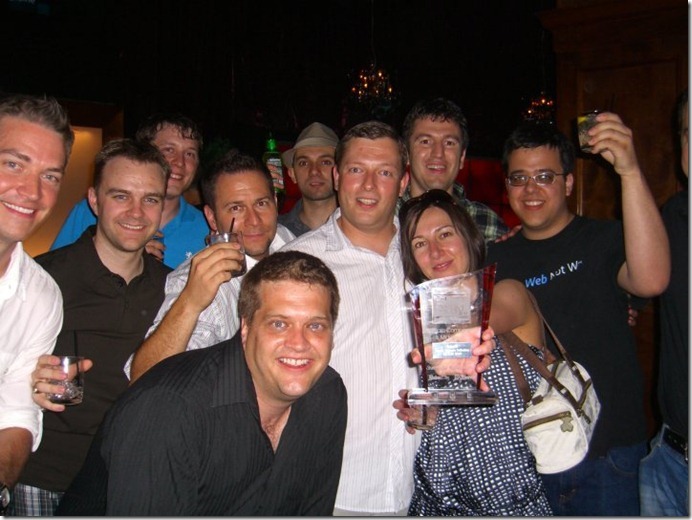 Telerik Wins Best of TechEd! Telerik won the “Best of TechEd” award in the “Best Components and Middleware” category last night at TechEd in New Orleans, LA. Our premium collection was judged as the most innovative and best value over all the other vendors. Thanks again to all of our customers, you make us better and we do it for you. Here are the Telerikers left standing late last night in the French Quarter in New Orleans. You must register at https://www.clicktoattend.com/invitation.aspx?code=149217 in order to be admitted to the building and attend. Based on Caleb’s popular blog series, these are the 10 things that if you or your company starting doing today, it would drastically change the way that you write and deliver software! As a long time community leader and former Microsoft Developer Evangelist Caleb is well known for his engaging speaking style, depth of knowledge and creative energy. Caleb is the Principal Mentor and founder of Proaction Mentors - a Software Architecture and Development Mentoring Company. Working as a Microsoft Certified Solution Developer, Certified Trainer and .Net Architect Caleb has helped to design and implement enterprise .Net solutions for some of the largest companies in the world; Six Flags, Countrywide Mortgage, American Airlines, CGI-AMS, Dollar Thrifty Automotive Group and Sunoco Inc. to name a few. You may also recognize Caleb from his previous work with Improving Enterprises, or from his work as an active national speaker for the International .NET Association (INETA), a Microsoft MVP for ASP.NET, a Certified Scrum Master. He’s worked as a technical editor for Wrox Press, and was recently a featured presenter on xTrain and Adobe.TV. Caleb is also the host, cameraman and editor for CommunityCast TV (CommunityCast.wordpress.com). By now the only thing left in the bag was my notebook, business cards, a pen, and my passport. I would have taken a photo but they had my camera! Last week Telerik released a service pack for OpenAccess Q1. The service pack fixes a few issues with Telerik’s new LINQ implementation working under Visual Studio 2010. 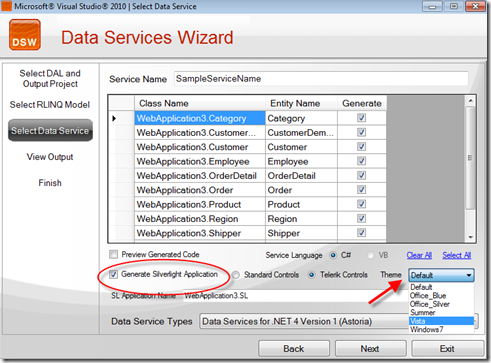 In addition, the service pack shipped the Data Services Wizard; the Data Service Wizard is no longer a separate install. 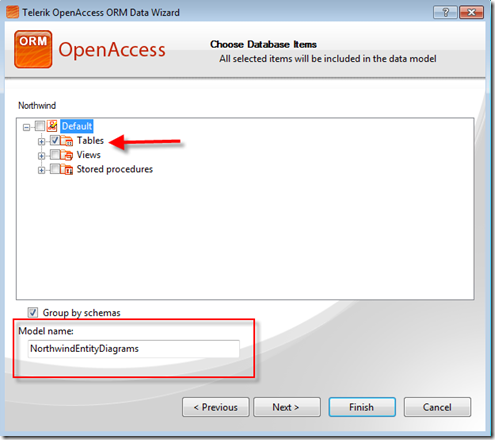 You can use the Data Service Wizard with traditional OpenAccess classes or the new LINQ implementation. Today I will show show you a new feature of the wizard: automatically creating a styled Silverlight application from your domain model. Future blog posts will show how to use RIA Services as well as SQL Azure. To get started open up Visual Studio 2010 and create a new ASP.net application. 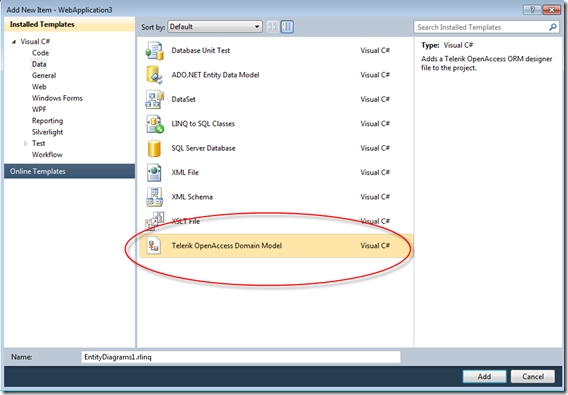 Create a new domain model by right clicking on the project and say Add|New Item and choose Telerik OpenAccess Domain Model from the dialog. 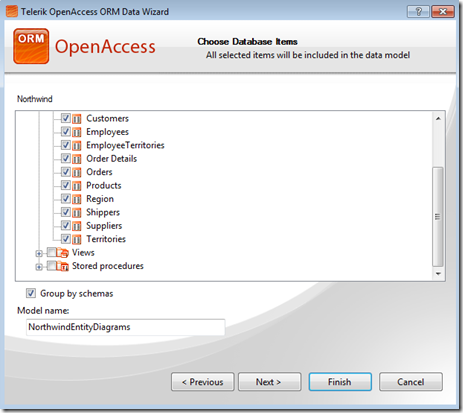 This will bring up the OpenAccess ORM Data Wizard to create your domain model by mapping tables to entities. Let’s use Northwind and map all tables and use the default model name: NorthwindEntityDiagrams. While there are other advanced features of the wizard, like T4 templates to override the default codegen, let’s just accept the defaults and finish. Once you click Finish the wizard will add a new domain model to your project. Now that we have our domain model, it is time to run the Data Services Wizard to automatically create the a RESTful service using WCF Data Services. 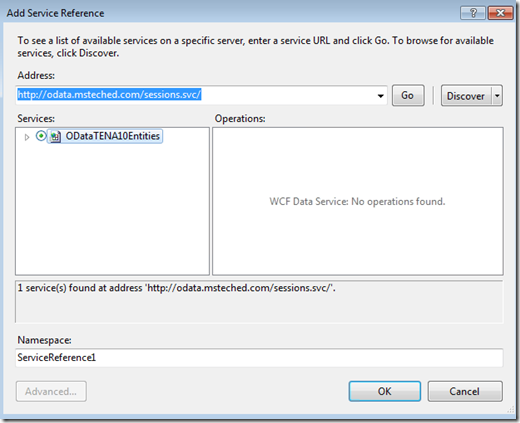 (The data service wizard also gives us the ability to create a WCF endpoint as well.) 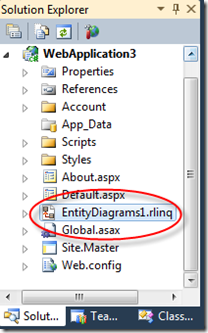 This can be done from the Telerik|Data Services Wizard menu option from the Visual Studio main menu (or right clicking on the EntityDiagrams1.rlinq file.) The first page of the wizard asks you where the domain model lives and what project to place the new service in. We’ll do it all in the same project. 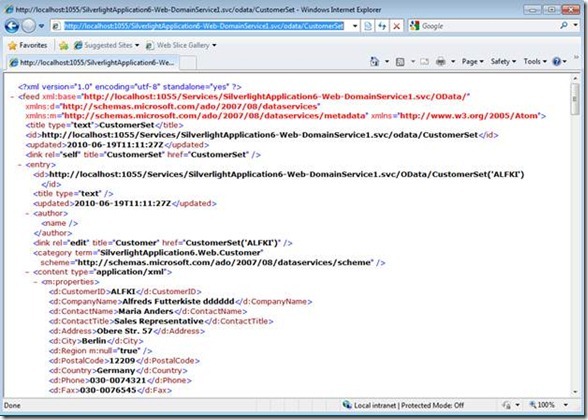 The next page of the wizard asks you what entities you want to expose in your service as well as if you want to generate a Silverlight Application. If you check this you are given the option to use the standard Microsoft Silverlight controls or the Telerik controls (if you have them installed.) If you choose the Telerik controls, you will also be able to choose a theme for your Silverlight application. The drop down will show you a list of all of the installed themes. I’ll go ahead and choose the Windows7 theme. After you click through the finish page of the wizard, the next step is to hit F5 and run your application. 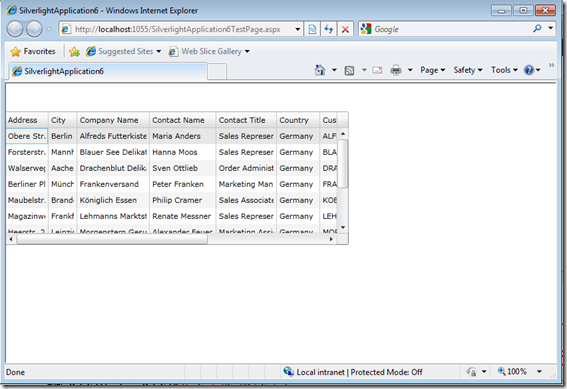 A basic, but styled, Silverlight application is created for you, getting you started with all of the CRUD methods. The Telerik version has all of the features your would expect, built in sorting and filtering, grouping, etc. I know that you will want to change the baseline application, but this is a great start, eliminating all of the asynchronous CRUD code that you have to write. Not bad for about 30 seconds of work! I found this over on Jeff Atwood's blog today. Jeff was explaining issues around the Stack Exchange on Stack Overflow and spoke about what motivates employees. What is interesting is that money was not the top item on the list. 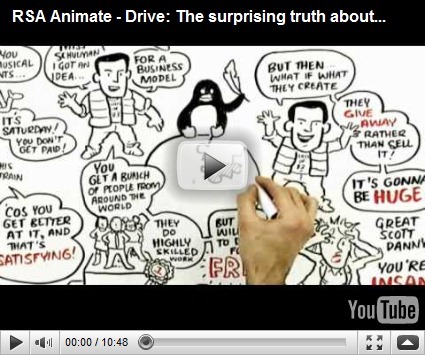 Jeff was influenced by Dan Pink of the RSA org’s TED talk and other works. The notion that money motivates employees comes from classical economics study of the Industrial Revolution. Back then people did tasks and built widgets, the more tasks they did, the more widgets they built, the more profit the company made. Today most people work in a knowledge economy. Dan Pink makes the argument that once someone have to use their brain at work, money is less and less of a motivator. I am republishing Dan’s video from YouTube about the “Surprising truth about what motivates us.” Worth watching. This one has been rumored for a while. While I am sure we may see some kind of minor Windows Phone 7 announcement at Teched, is there going to be an iPhone SDK for Silverlight and Visual Studio 2010? Windows Azure seems to have been accepted by the Tech community as something that is well architected and very stable, but the general consensus is that it is a tough sell to customers privacy/cloud wise and cost wise. While I don’t have a major problem with Azure pricing, it could have more competitive pricing plans in place in order to do a land grab on adoption. It is too early for a beta, but it would be great to have some info on Silverlight 5.0, what it will support, what it will look like, etc. Microsoft has been so quick to ship new iterations of Silverlight that people expect the same out of Silverlight 5.0. 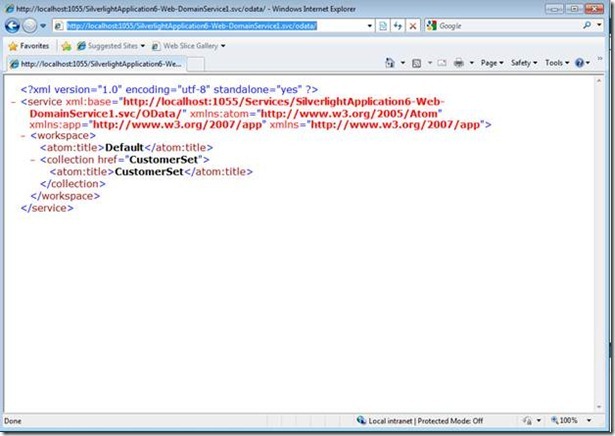 For example, Silverlight 2.0 shipped in October 2008 and Silverlight 3.0 beta appeared in March 2009, only 5 months later. Silverlight 3.0 shipped in July 2009 and Silverlight 4.0 beta 1 shipped in November 2009, only 4 months later. Silverlight 4.0 shipped in April 2010, so June 2010 is a reasonable timeframe for Microsoft to talk about Silverlight 5.0 features and design goals, if not a beta timetable. OK I admit it, I love Win7 and have zero complaints or don’t even have a wish list for Win8. But it is the geek inside of me that wants a sneak peek of Win8. I am pretty sure that this will not happen, but Vista shipped in January 2007 and we had an alpha in October 2008, so not unheard of. I don’t need an alpha, just a sneak peek. Ok, if it too soon to talk about Silverlight and Windows, then why not SQL Server 2012? TechEd is more of an IT Pro conference and it is co-located with the BI Conference, so maybe, just maybe we will get some info on SQL.next. Don’t laugh. At TechEd in Boston in 2006 it was announced that Bill Gates was retiring. Steve has been in charge a long time, while I don’t expect a leadership transition at this point in time, you never know. Hey, Google gave out new Android phones at I/O twice. Microsoft gave us all a tablet at the PDC. Why not a phone?